From a post by Shadi Kandil, CEO, MCN Mediabrands… It’s no secret that Adland Agencies have been having it rough for a while now. The challenges have been many, converging from different sides of the playing field. It surely doesn’t help that ours, is a typical legacy industry with business model practices that have not evolved for quite some time. This statement does sound puzzling. After all, Agencies have always excelled at articulating the various mutations of the space binding consumers and brands with technology and media. One can’t help but wonder, why then were Agencies slow to adapt their service offering and business model to the changing dynamics of value creation? Was it lack of foresight or was it just plain complacency? Did the 2016 trust ‘stress test’ in the relationship with clients shake agencies’ confidence and ability to be future-relevant? Or is it, as one notable analyst once said, that the whole marketing services industrial complex lost its raison d’être? And if that’s the case, why are Agencies locked in a land grab battle with a formidable competitor? Management consultants, fighting their own disruption, are seeking to extend their scope holistically across the entire marketing value chain. Alongside all these complications, Agencies are finding themselves in the midst of a fast growing, increasingly complex ecosystem, powered by technology and fueled with data. This thriving field is bustling with agile and nimble players who favor collaboration with agencies in their go-to-market approach, however won’t be held back if their partners are too slow or too rigid to keep-up. So, if we were to believe the self-appointed pundits, Agencies must have shuttered 3 years ago. Fortunately, everyday, the work produced by Agencies continues to prove the viability of the service model. And while the drivers of our success are many, by and large, Agency groups are well into their transformation plans and future proofing journey…but this is a conversation for another day. This article is about a subject close to my heart. It is about the fate of the fighting majority of women and men that power this whole “marketing industrial complex”. In the midst of all the gestations, pundits and analysts remained largely mute on the subject of Agency professionals and their fate if ever Agencies were to disappear. This is a subject for today, one that demands its own roadmap alongside all the transformation blueprints that are being developed. And here’s the reality of our business. Work never stands still, whether there’s disruption or not…whether there’s transformation or not. Increasingly, Agency professionals are finding themselves stuck between a rock and a hard place. From one side they have to keep-up with the day-to-day work requirements and from the other side they have to face the urgency to upskill or deal with the anxiety from predictions of fearmongering doomsayers. 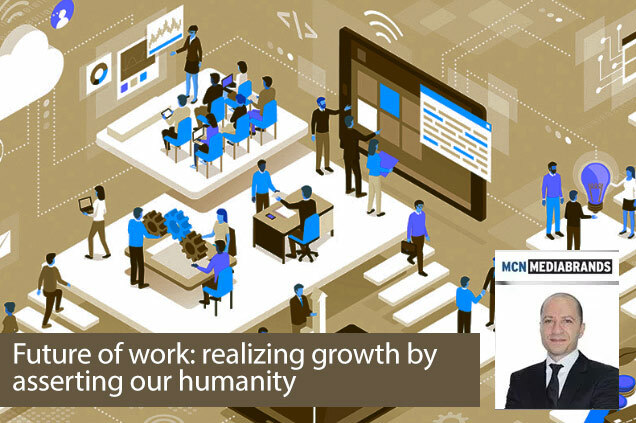 As the locomotive of transformation marches along and the future of work is put under the spotlight, Agencies carry the responsibility to design development programs that will equip their teams to retool and build new skills to succeed in the future. Never compromise on your happiness. Regardless of how old you are, life is too short to be miserable and to live in an environment that does not exude a positive energy. If you are unhappy, don’t wait for change to find you, go seek greener pastures. Watch for mental health. Unfortunately the stigma around mental health is still strong. Be conscious of your own state of mental health, be aware and present and always seek help from people you trust – It’s 2019 for crying out loud. Exercise. Diligently. Consistently. Moderately. For the life of me, I cannot believe that in 2019 we are still witnessing soaring numbers of people who smoke cigarettes and/or do not exercise regularly. The science is in: maintaining a healthy lifestyle is the corner stone for building a successful career. Be conscious of your passions. Nurture it. Seek ways to work in areas that align with your passion. Not there yet? research which career pathways and which companies will get you there and then design a game plan to make it happen – it just won’t happen by itself no matter how lucky you are. Approach learning as a lifelong journey. Learning should be a continuous endeavor. Each of us should have their own learning agenda and it should be iterative to keep-up with the industry’s pivots. The best aspect about digital transformation is that it democratized learning and brought to us amazing learning platforms like Udacity. What will you sign-up for next? Increase your repertoire of skills. Learn to code, play music, write poetry, create content or learn how to knit. Whatever it is, make sure that you maximize the number of transferrable skills that you can take with you as you advance on your journey. Don’t succumb to the forces of disruption. Learn to work smarter not harder. This can only be achieved by embracing collaboration (inside and outside your organization). In the age of transformation, those who insist on being territorial will find it increasingly harder to innovate and grow. Seek excellence not perfection. Again in the time-crunched, iterative world we live in, we tend to accept presenting work that does not represent us. This is a fatal mistake and it will come to haunt us eventually. The work we produce defines us as individuals. Find ways to consistently produce excellence (not perfection) in every piece of your work. Be a disciplined planner. We’re in a service-intensive industry. The speed with which we are expected to deliver will push us most of the times to be reactive and to forgo time needed for reflection. By being disciplined in planning, have a weekly agenda and task list and you will slowly maximize the value of your productivity. And lastly, pickup a hobby. Time out from work is as crucial as time spent at work. One does not exist without the other. In fact one feeds on the other. Your hobbies will fuel your creativity and will energize your soul. No doubt, change is a hard undertaking. It takes foresight to identify the prized outcomes, the will to accept the pains of disruption and the determination to stay the course when there’s no visible achievement in sight. We’re lucky to be sitting at this amazing intersection of transformational forces. These are the most exciting times to be in Adland. 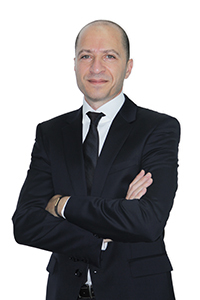 Shadi Kandil, is CEO at MCN Mediabrands. He is a seasoned transformational leader with over two decades of demonstrated strength in championing organizational change to deliver growth. He also ‘considers himself a dreamer’.